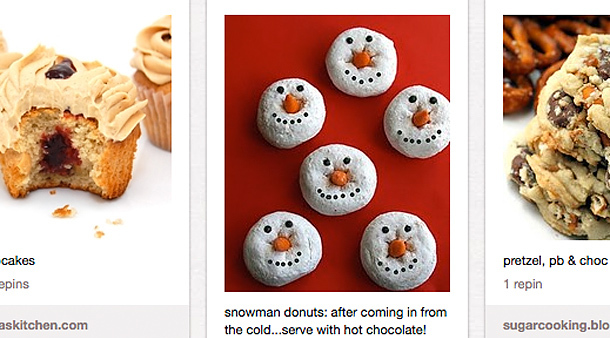 There’s a new social media platform every minute, it seems, and the darling of the moment is Pinterest. Here are some expert tips from Chobani Yogurt’s social media team on how to get beyond flavor of the week. Emily Schildt, Chobani’s digital communications manager, continues to be in awe of how many surprisingly rhapsodic tweets and Facebook comments she’s read from devotees of the Greek yogurt brand. “We call it ‘flavor Turettes’ in-house,” she quips. “We get about a tweet per minute, and I would say 50% are about our newest flavor, apple cinnamon.” But regular declarations of love for the dairy treat didn’t end there. 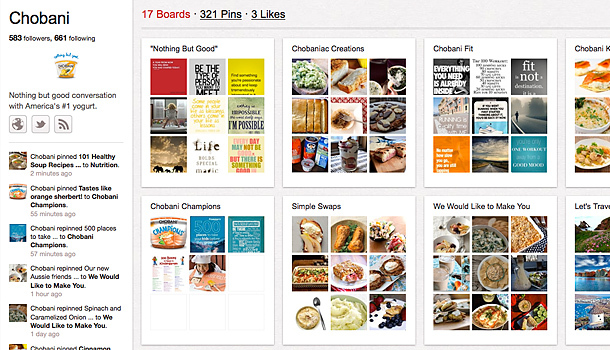 Schildt started noticing that fans were “pinning” images of the yogurt and recipes on the most of-the-moment social sharing network, Pinterest. Schildt sat down with Fast Company to talk about the brand’s strategy for curating boards, repinning relevant content, and building customer loyalty. What emerged were best practices for any business to continue the conversation with its customers in an enterprising new format.